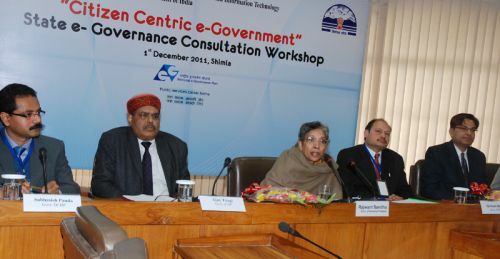 Citizen Centric e-government State e-governance Consultation Workshop starts that is organized by the Department of Information Technology Himachal Pradesh, Ministry of Communication and Information Technology, Government of India in partnership with NASSCOM. 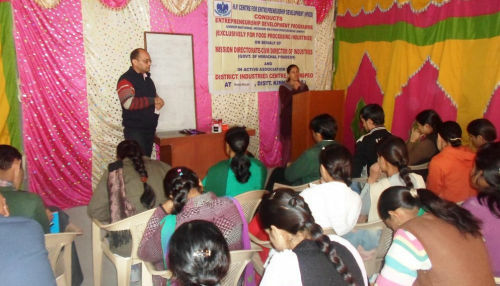 Chief Secretary Rajwant Sandhu inaugurated the Workshop and stressed upon re-engineering the process of delivering IT-enabled services to the citizens in the state by simplifying the procedures in order to make them citizen friendly. Rajwant Sandhu said the departments should look into the electronic procedure of deliverance of public services in a critical manner so as to involve common man in it. Chief Secretary said that IT usage should penetrate into the remotest corners of the State to bring in smart governance and ensuring transparency and added that this was the high priority of the Government. She directed the Heads of departments to ensure capacity building in this area to avoid any gaps in service delivery. She also asked the departments to focus upon using the service for PMIS, Inventory Management, e-procurement etc. Monitoring the effectiveness and progress was equally important, she said. Rajwant Sandhu also urged the officers of Ministry of Communication and Information Technology, Government of India to devise a mechanism for inter usage of softwares among states so that they could exchange the softwares developed with each other which would spare multiple efforts. Dr Rajendra Kumar, Director, National e-governance Division, Government of India delivered a presentation on National e-governance Plan Overview. He said that the plan takes a holistic view of e-governance initiatives across the country and integrating them into a collective vision and a shared cause. He said that IT Industry was providing employment to millions in the country. Ajay Tyagi, Principal Secretary Information Technology welcoming the Chief Secretary said that IT was need of the hour and was used as a tool of governance. He also stressed for sustainable initiatives in the IT Sector so as to strengthen the e-governance. Subhashish Panda Director Information Technology delivered presentation on State e-governance Update. Jagdish Sharma Commissioner, Excise and Taxation on VAT- IT Project H.P, Dinesh Malhotra, Additional Director Industries on e-Procurement in Industries, Deepa Sagar, Director Capacity Building National e-governance Division on Capacity Building, Sh Abhishek Singh Director DIT on Common Service Centre and Electronic Service Delivery delivered lectures in the workshop. Abhishek Jee Director NASSCOM proposed vote of thanks. Additional Chief Secretaries, Principal Secretaries, Secretaries, Heads of Departments, Representatives from Government of India attended the workshop.